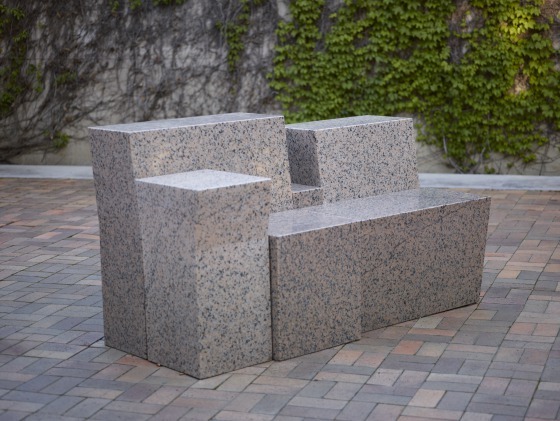 Burton's work is concerned with furniture, the forms of which are created in hard materials like granite, which seem antagonistic to the function of furniture. 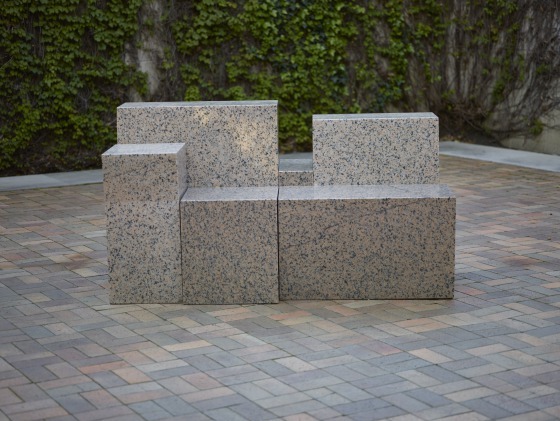 Burton, however, carefully considers the human use of his monumental creations; they are comfortable to sit on, despite their massive appearance and seemingly hard surface. This tension calls into play the spatial and tactile relationships between a museum-goer's body and the works of art they encounter. 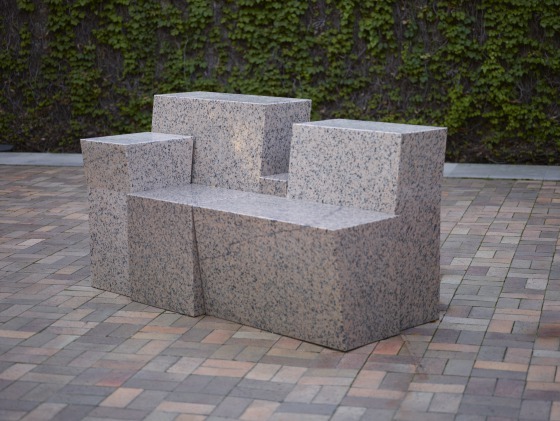 Granite settee consists of six blocks of granite shaped into irregular geometric forms and placed together with no bonding material. 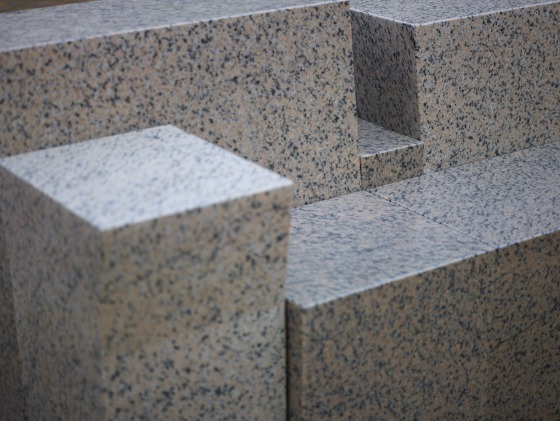 The stark blocks suggest a prehistoric shrine, which is, paradoxically, congenial and usable. 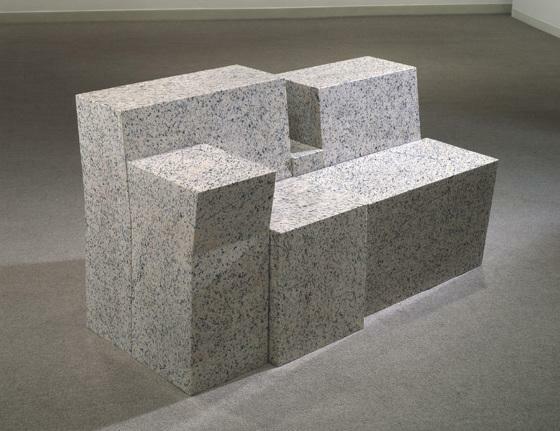 Anne R. Bromberg, Dallas Museum of Art: Selected Works (Dallas, TX: Dallas Museum of Art, 1983), 195. 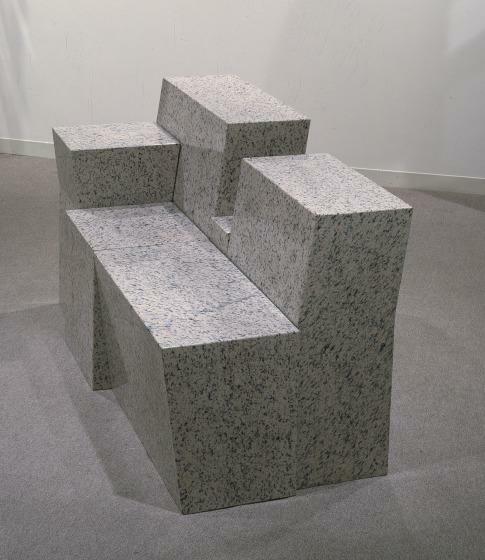 Burton began his career as a performance artist in the 1970s, and initially began creating furniture for use in performances.